Hello friends! 2017 has been quite the ride. This year has brought a lot of new collaborations and ventures my way, which I couldn’t be more grateful for. My only hope is that it continues to provide for you an outlet of beauty, art and human connection. I had a magnificent experience performing with Lama Theater’s production of “The Woman Who Shed her Skin” at the Brighton Fringe Festival in Brighton, UK. To all who supported my campaign to raise the funds for it; thank you from the bottom of my heart! Collaborating on this show spawned some fresh inspiration and led me to my next venture. Armed with a loop pedal and a dogged determination to write more music, I performed my first solo set of songs with Jenn Grinels this fall. Using cello, vocals and loop pedals, I performed a mix of vocal and instrumental tunes. This year I’ll be writing more with my partner in crime, composer and sound engineer Tyler Crosser. Tyler and I also collaborated on his visionary new work; the Book of Arius. Part narrative story, part concept album, the Book of Arius is a composition for string quartet that will ultimately weave together a multimedia experience. We recorded the first leg of it last month at Seaside in Gowanus, and I promise you it’s unlike anything you’ve heard before. Take a listen to it on Spotify, iTunes, Amazon or Bandcamp. Tyler, in his infinitely talented way, whipped together an animation for the 4th movement (he was “bored” over the winter break). Watch it here – can’t you see it projected behind dancers on a stage? Last but not least, I joined the awesome community at Bantam Studios to unleash Booze Cello into the world! In our first year we enrolled just over 100 students in group classes for cello and chamber music. Now in their fourth year, Bantam Studios offers classes in violin, guitar, mandolin, ukulele, and electric bass. Registration for classes is still open for our winter semester, through January 19th (If you need to rent an instrument, register by January 15th). For anyone interested in learning the cello from a grown-up perspective, check out my Booze Cello Youtube series! I give step-by-step guidance on how to learn cello as an adult. If you want one-on-one direction, I offer Skype lessons as well – message me to learn more! Please stay tuned for more projects in 2018! Looking ahead, Tyler and I will continue the next chapter of Book of Arius, and have some other surprises up our sleeves for you. 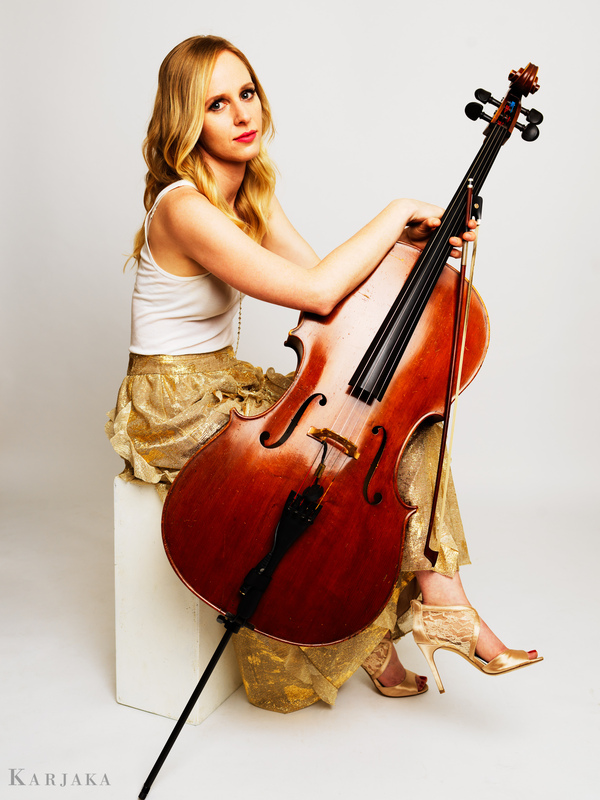 In the meantime, stay connected through my Youtube channel for more music tidbits and cello tutorials. Thank you as always for your love and support!